Worn by anyone else, white cotton flour sacks printed with the “Fulton Seamless” logo might not have been particularly clever costumes. But when Jake Elsas’s parents wore them to a party sometime in the early 1970s, they were a hit: his great-great-grandfather, the original Jacob Elsas, was the founder of the Fulton Bag and Cotton Mill—which produced the sacks—and built the neat shotgun houses of Cabbagetown to accommodate his workers nearby. 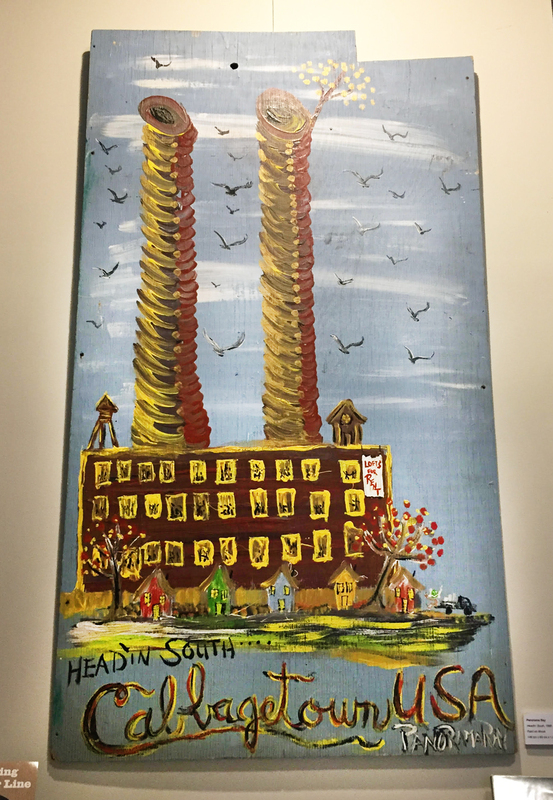 Although the Elsas family sold the mill in the late 1950s, both it and the neighborhood remained a strong part of the family’s identity—and, at least as late as Jake’s childhood, an occasional source of self-referential fashion. Flour sacks weren’t the only mill relics the family held on to. 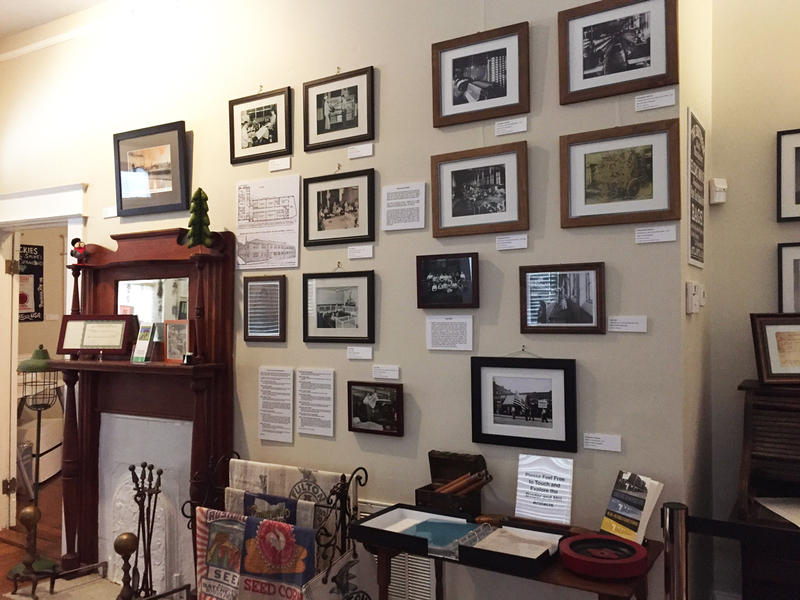 Now, photos and artifacts from the Elsas family’s collective archives, along with art made by and about Cabbagetown, are on display at the Patch Works, a neighborhood art and history center opened by Jake and his wife, Nina, who has a degree in art history. 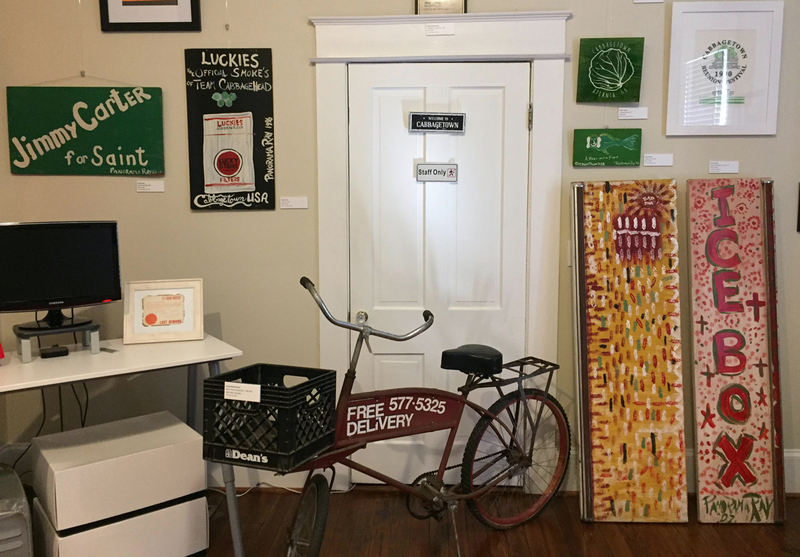 Growing up in a variety of well-heeled Atlanta neighborhoods, Jake knew Cabbagetown as a tightly knit community where people took care of each other with a irrepressible and noisy pride. He says he drank lemonade at annual reunions while displaced old-timers made music on porches of their former neighbors, who themselves tried to negotiate neighborhood revitalization projects with the City of Atlanta. The mill’s gradual closure between 1974 and 1981 greatly depressed the neighborhood and the mostly white, Appalachian mill workers who had lived there, and Cabbagetown began to gentrify in the 1980s. Jake’s father chaired the board of the Patch, a socioeconomic assistance organization founded by Esther Lefever that provided arts programs and other education for laid-off mill workers and functioned as a drop-in center for neighborhood kids. After spending most of his adulthood outside of Atlanta, Jake returned in 2012 to care for his ailing father. When he visited Cabbagetown, he hardly recognized the neighborhood: “It suddenly dawned on me that a lot of what I understood Cabbagetown to be was in danger of being lost forever with these waves of outsiders and gentrification,” he says. What worried him most was how little new residents knew about the neighborhood’s history. He bought one of the lofts in the Stacks, the residential development built on the mill’s ruins at the turn of the 21st century. 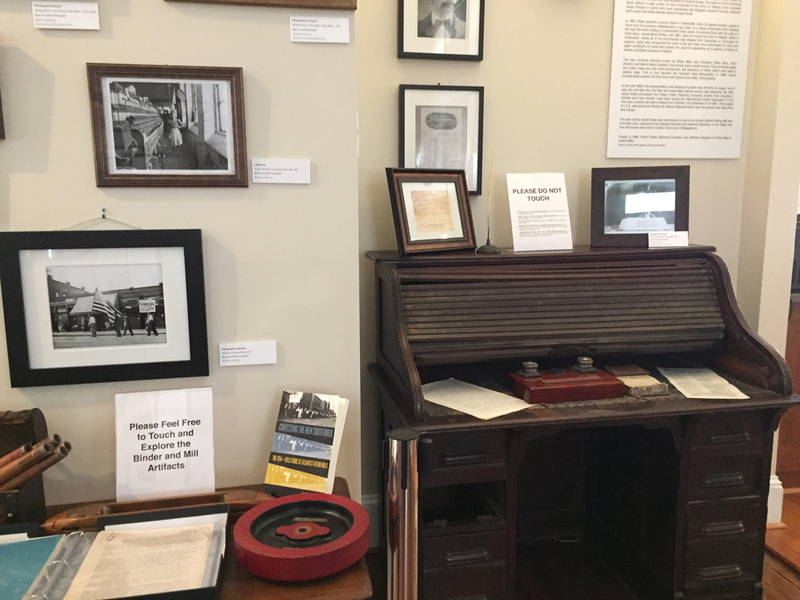 When his home was featured on a 2013 loft tour, he used the space to showcase mill-related ephemera from his father’s archives. 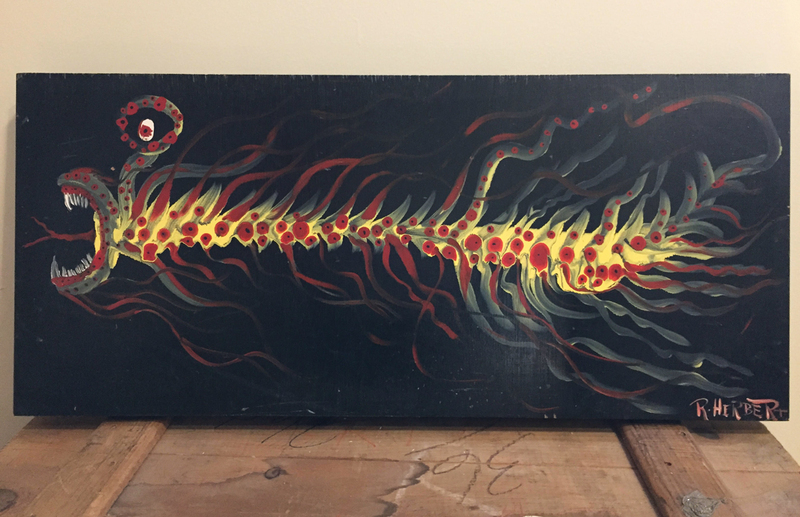 Family members caught wind of the exhibit and offered to empty their attics into his collection. For a while his loft was “basically an art museum,” he says. The mushrooming assemblage needed more space. 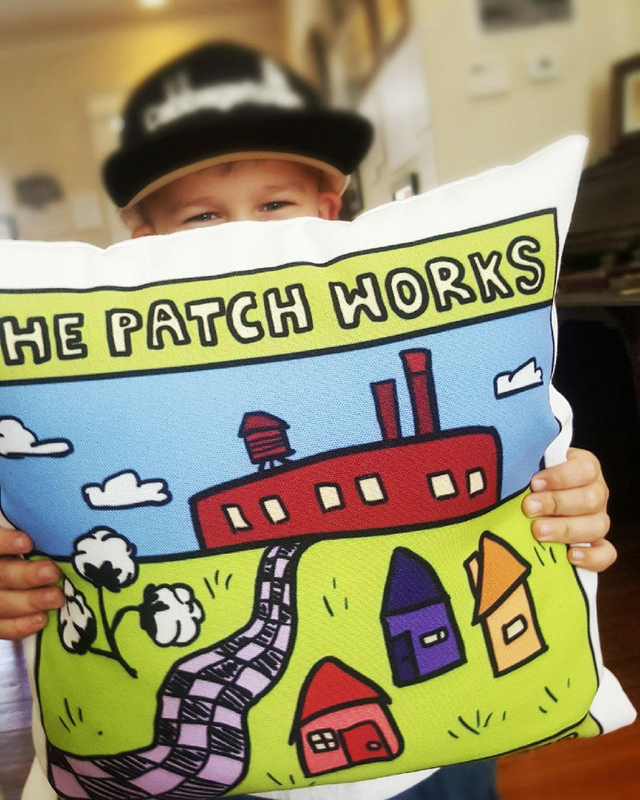 In 2015, he and Nina moved it to a space on Carroll Street previously occupied by a tattoo parlor and named it the Patch Works in homage to the organization his father had helped lead. It was a trial run, Jake says, for a more permanent location, which opened in December 2017 in a blue house on the corner of Gaskill and Carroll Streets. Next door is the lot where the Patch once stood, now the Agave restaurant. Jake and Nina have been self-funding the museum and launched a GoFundMe in January that has since raised a little over $3,000. They hope to eventually secure 501(c)(3) nonprofit status, which would make them more eligible for grants. 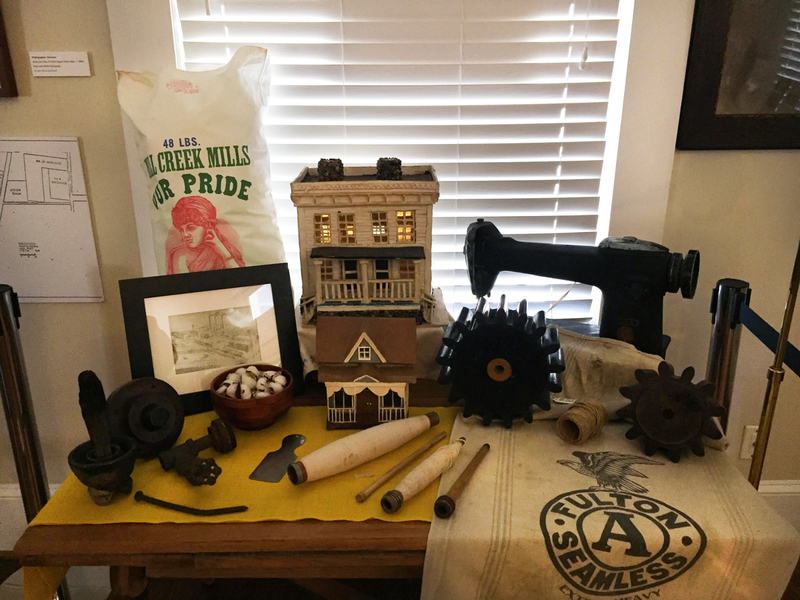 The museum has three distinct spaces: the entry room contains mill-related displays, including a table of cogs, bobbins, and scale models of mill buildings. 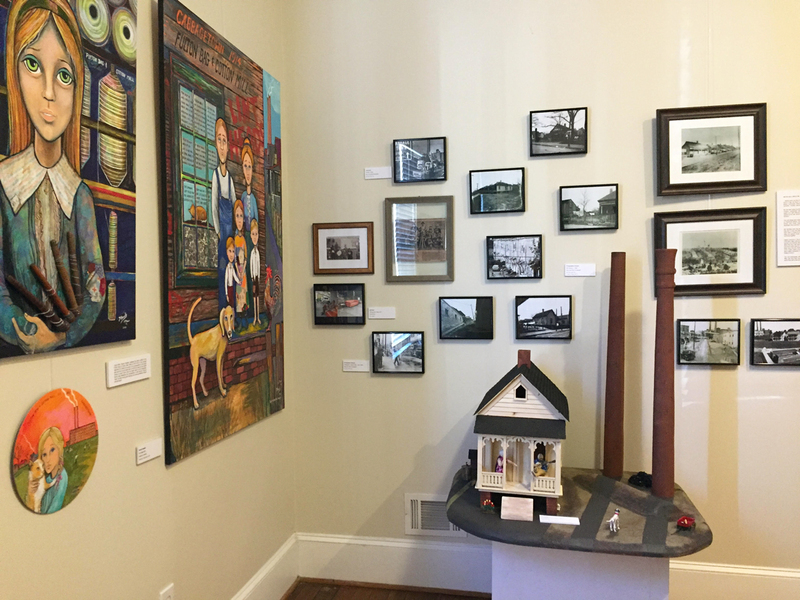 Two other rooms showcase Cabbagetown art, including works by street artist Donna Howells (aka 70dot) and the late photographer and artist Panorama Ray, along with rotating exhibits, such as one featuring the music of Cabbagetown folk singer and activist Joyce Brookshire, who died in 2017. The space also hosts monthly acoustic concerts and bagel pop-ups several Sundays a month with Emerald City Bagels. When people leave the museum, Jake hopes they will have a better understanding of the neighborhood’s contribution to Atlanta’s economic development after the Civil War, and the ferocious pride its residents once took in their unwavering support for each other. 593 Gaskill Street; Open Tuesday and Thursday 12-6 p.m., Friday and Saturday 1-7 p.m., Sunday 9 a.m.-3 p.m.